On Sunday, June 24, the British are coming, but this time around they will be welcomed with open arms by Massachusetts auto enthusiasts. Land Rover Peabody is organizing an All Things British Drive Event that will start at 9 a.m. at their Massachusetts Land Rover showroom and continue with a rally to the British Car Day festivities at the Larz Anderson Auto Museum. Land Rover owners and fans are invited to meet at Land Rover Peabody for a hearty breakfast before mounting up for a quick drive down to Brookline, Mass., where the Larz Anderson Auto Museum is holding its annual British Car Day show. The event will feature some of the best vehicles from Britain’s motoring history, with awards being given out for revered marques like Aston Martin, Austin Healey, Bentley, Jaguar, MINI, MG, Morgan, Lotus, Triumph, and, of course, Land Rover. Where: Begins at Land Rover Peabody, 247 Newbury Street, Peabody, Mass. While the Larz Anderson Auto Museum’s event is mostly dedicated to British automobiles of the past, a vehicle currently shaping the future of the Land Rover brand, the 2012 Range Rover Evoque, will be on display at Land Rover Peabody in the morning. Having already earned more than 100 industry awards, the sleek and compact Evoque crossover has been popular with critics and buyers alike since it went on sale last year. Recognized for its style and fuel efficiency, the Range Rover Evoque was recently named to the Robb Report’s 24th annual Best of the Best list in the Sport-Utility Vehicles category. The luxury-lifestyle publication’s Best of the Best issue honors the world’s most exceptional new vehicles, and the Evoque was in good company, joining other winners like the Ferrari 458 Spider and Maserati GranTurismo MC. Land Rover Peabody is home to a remarkable group of off-road enthusiasts who know exactly what their customers expect in Land Rover sales and service. They’re proud to offer the latest Land Rover models, as well as unparalleled Land Rover service and OEM parts, and they invite new customers to take a test drive on their unique demonstration course to experience Land Rover performance firsthand. 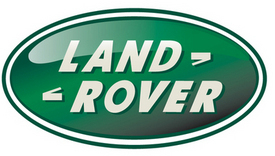 Browse their selection online at www.roverpeabody.com, visit the showroom at 247 Newbury St. in Peabody, Massachusetts, like them on Facebook at www.facebook.com/landroverpeabody or call them at 978-535-9200.